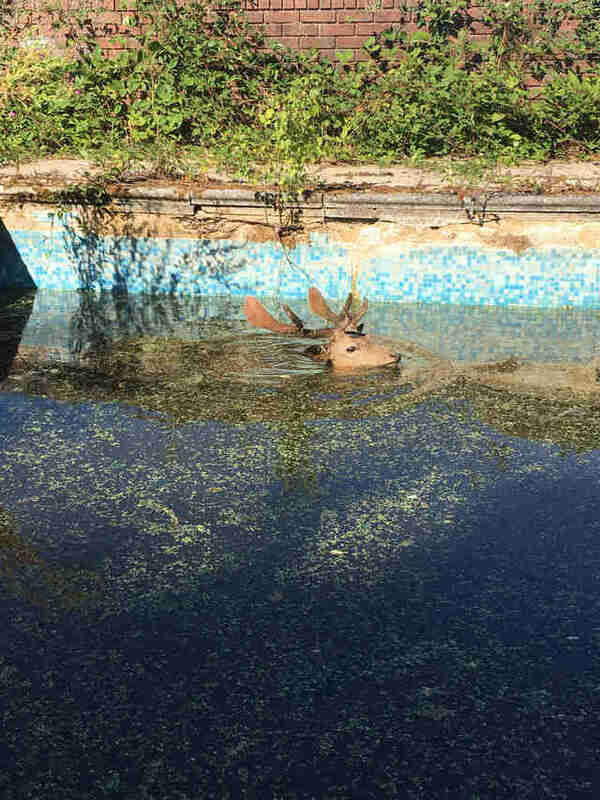 A man walked into his backyard Friday morning to mow the lawn and looked out across his unused swimming pool — and was shocked to see a large deer paddling around in the water. 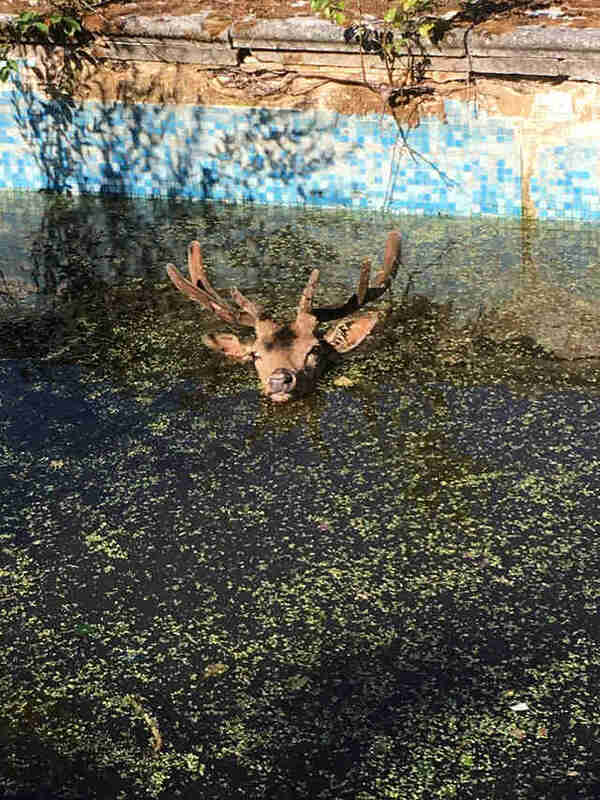 Luckily, the pool wasn’t completely full, so the deer could touch the bottom and keep his head above the water, but he still appeared to be pretty exhausted. 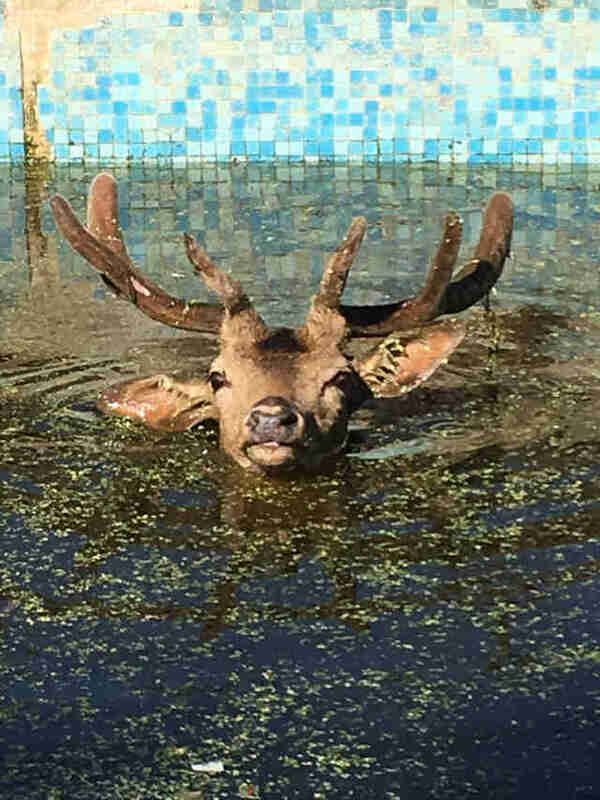 The man assumed the poor deer was unable to get out of the pool on his own and had been wading around in the murky water for quite some time. Once he realized the deer was stuck, the man contacted the RSPCA in hopes that it could help. Bailey went out to the man’s home to assess the situation and quickly realized there was no way he would be able to get the deer out of the pool on his own. 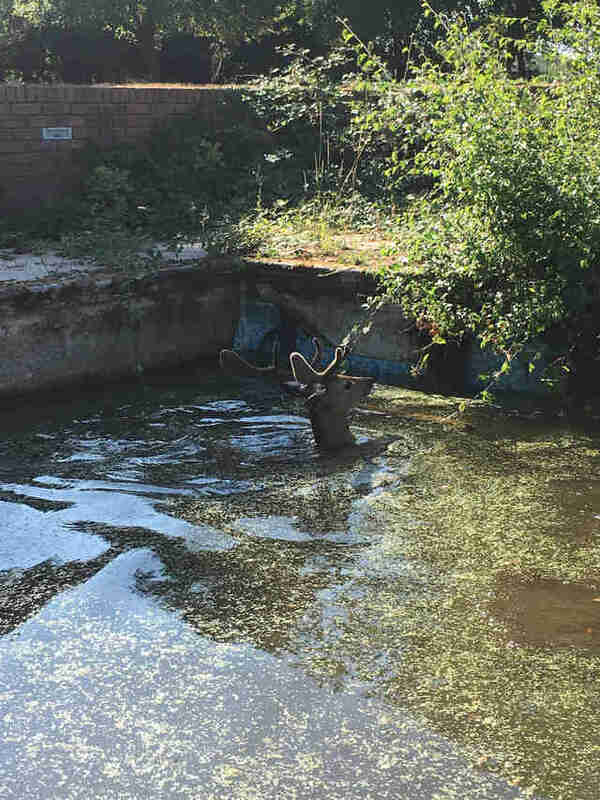 He contacted his colleague Karen Gregor for help, and the pair began using grasper poles to grab the deer by the antlers and pull him over to one side of the pool so they could reach him. With as much force as they could muster, the pair were finally able to pull the deer up and out of the water. Although he was a little disoriented, he appeared to be uninjured and in good condition, so after a few minutes they were able to release him back into the wild.